Independence Mobility has boosted its growing powerchair offering by becoming a Permobil dealer as the supplier looks to expand its retailer network, with the Leeds-based mobility retailer now selling Permobil’s range of powered wheelchairs and power add-on. Starting life in 2004 as a small retail outlet in Leeds selling entry-level wheelchairs, scooters and beds to end-users with basic needs, Independence Mobility has expanded into new areas of the market over the years and now caters for a range of basic and complex needs. Under the new distribution partnership, Independence Mobility will sell Permobil’s range of powerchairs, including high-specification indoor and outdoor models, for both adults and children. Discussing becoming a Permobil dealer, Anthony Mitchell, Managing Director of Independence Mobility, commented: “We are thrilled to have formed a partnership with Permobil UK and offer Permobil powered wheelchairs to our customers. Gordon Cunningham, Permobil’s General Manager for UK and Ireland, said: “Permobil are delighted to have Independence Mobility join our team as one of our flagship dealers in the North West of England. 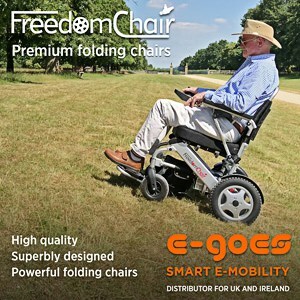 In February 2019, Independence Mobility celebrated its 15-year anniversary with a rebrand to position itself as a modern and forward-thinking mobility equipment provider focused around its strapline ‘passionate about changing lives’. The company says Permobil’s technologically advanced mobility solutions makes the global mobility equipment supplier a perfect fit for the company.